Thanks to movies and television, most Americans know about the wall of stars near the entrance of the original CIA headquarters building—and rightly so. Those 125 stars (and counting) serve as a silent and somber memorial to CIA personnel who have fallen in the line of duty, protecting us from our enemies. Those stars speak volumes about the CIA and the nation it serves. But few Americans are aware of what’s opposite that wall of heroes. It, too, speaks volumes about the CIA and the nation it serves. A special review board considers the circumstances surrounding each CIA death in the line of duty and makes recommendations to the CIA director. Owing to the selflessness, sense of duty, and commitment to mission of those men and women, there are no names on the Memorial Wall—just stars chiseled into a wall of polished marble. Indeed, four of the names representing the newest stars on the wall remain classified. 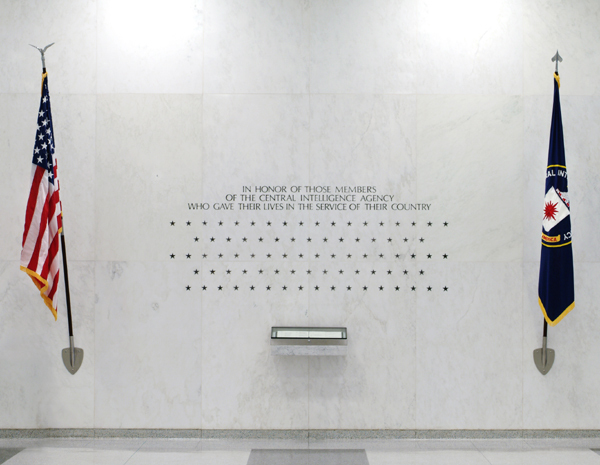 Owing to the dangerous work of the men and women of the CIA, fresh stars are added to the Memorial Wall every year. In 2017 alone, eight stars were added. There were just 31 stars when the memorial was dedicated in 1974. Those sacrifices—in deserts and jungles and urban battlefields, in lawless lands and friendless places—remind us that there is a price for our freedom. More than that, this wall of heroes reminds us that our freedom and our way of life depend on information and intelligence and the search for truth. The words are Christ’s; they come from the Gospel of John. People of faith have a sense that finding the Truth—and confessing what is true—can bring freedom. For the CIA’s founders, the passage would serve to underscore the importance of searching for truth in the service of free government. As a CIA history explains, Allen Dulles, who was the longest-serving CIA director, was personally involved in the construction of the original headquarters building. The son of a Presbyterian minister, Dulles “insisted that a biblical quotation be fixed in stone” in the lobby. Dulles cited this passage from John’s Gospel at the building’s dedication, and today it is the CIA’s motto. Whatever the CIA’s faults and shortcomings—and it has many, like all imperfect institutions created by imperfect people—these timeless words and these nameless stars remind us that the defense of freedom and pursuit of truth are linked. Likewise, the Constitution enshrines free speech as an inviolable right and serves as a bulwark for a free press because the Founders knew that the best antidote to untruths (and those who spread them) is not stifling them but rather exposing them to the light and the truth—and that a free press is essential to searching for truth and checking tyranny. To be sure, the CIA and other parts of the Intelligence Community have a tendency to overclassify and thus limit the American public’s access to certain information, certain truths. However, it’s not Bradley Manning’s or Julian Assange’s or Edward Snowden’s job to determine what, when and how to declassify that information. That’s a job for Congress. In our system of government, the people delegate certain aspects of governing to their representatives. One of the many things we delegate is determining what should be kept secret about our foreign policy and national security, what should not, and how and when to go about declassifying information. If Congress—representing the people—concludes that more information should be declassified, then Congress in its oversight role should do more to streamline that process. Finally, we should consider the enemies of freedom, who always are enemies of truth. Nazi Germany was built on the lie of racial superiority; Hitler lit the fuse of war by claiming Poland invaded Germany. The Soviet tyranny sustained itself by systematically concealing the truth and enforcing a “universal mendacity.” The manmade famines that killed millions, the purges that disappeared tens of thousands, the promise to hold free elections in Poland, the invasion of Afghanistan, the shootdown of Korean Airlines Flight 007, the Chernobyl disaster—the Soviet state lied about all of these and much more. Not until 2010 did the People’s Republic of China correct its history books to reflect the fact that North Korea—not the United States—started the Korean War. Tehran’s tyrants have been lying about their nuclear program for 18 years. Vladimir Putin’s Russia is shaking the Western world with a sophisticated campaign of disinformation, half-truths and lies. Searching for truth plays an important part in protecting America from these enemies and keeping America free. But as those 125 stars remind us, the search comes at a high price. Alan W. Dowd is a senior fellow with the Sagamore Institute, where he leads the Center for America’s Purpose and authors the Project Fortress blog. Follow him on Twitter @alanwdowd.